Francesca Fiorentini is host and producer of Newsbroke on AJ+. America Is Finally Winning Again! 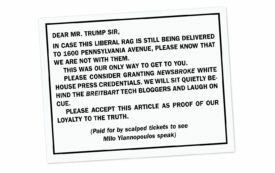 A self-confessed dishonest journalist’s plea for White House press credentials.